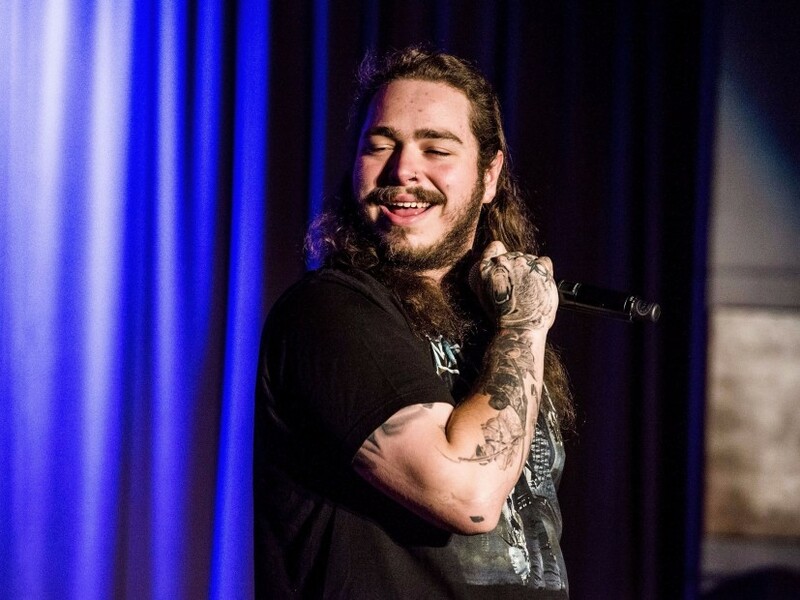 Los Angeles – The GRAMMY Museum in Los Angeles hosted an intimate session with platinum-selling musician Post Malone on Wednesday (September 6). The Clive Davis Theater was filled with fans eager to learn about the 22-year-old rapper’s rapid ascent to success, eclectic array of influences and his experience working with top tier artists like Kanye West. GRAMMY Museum executive director Scott Goldman took on the role of interviewing Malone. Their comical dialogue gave fans a chance to know the artist on a more personal level. During the interview, he shared insight on his relationship with Justin Bieber and what it was like to open for him on tour. Malone then exemplified true versatility when talking about future endeavors. He announced he’s hoping to open a tattoo shop in L.A. in the near future with a close partner of his from Philly. Yeezy also came up when discussing their collaborative track “Fade” and Malone’s debut album, Stoney, which was supposed to feature West. “Working with Kanye is like working with Jesus Christ,” to which Goldman replied, “I’m sure Kanye thinks that.” Malone went on to say West is like a stepfather — you’re afraid of him, but you love him. Although it’s still early in his career, Malone is clearly in it for the long haul. He’s currently gearing up to release his sophomore album, Beerbongs and Bentleys.